Heeft u een vraag voor Serein Beach Hotel? Ontworpen voor zowel zakelijke reizigers als toeristen, is het Serein Beach Hotel ideaal gelegen in Tangalla strandzijde; één van de meest populaire buurten van de stad. Gelegen op 1.5 km van het hart van de stad, bevindt dit 3-sterren hotel zich op een excellente locatie met de grootste attracties binnen handbereik. Dit moderne hotel ligt in de nabijheid van populaire stadsattracties zoals Tangalle Lagoon, Tangalle Beach, Bandula Surf School. Het Serein Beach Hotel biedt tevens vele faciliteiten om uw verblijf in Tangalle zo aangenaam mogelijk te maken. Het hotel biedt 24-uur roomservice, taxi service, rolstoelvriendelijk, 24-uur receptie, faciliteiten voor mindervaliden om gasten een maximaal comfort te garanderen. Ervaar kamerfaciliteiten van hoge kwaliteit, inclusief gratis welkomstdrankje, spiegel, rookvrije kamers, wekservice, bureau, om tot rust te komen na een lange dag. Het hotel biedt een uitstekende variëteit aan recreatieve faciliteiten, inclusief privéstrand, tuin. Het Serein Beach Hotel is een slimme keuze voor mensen die reizen naar Tangalle: een ontspannen verblijf is gegarandeerd. De ligging, aan het strand, van de dit verleden jaar geopende hotel, is buitengewoon. De kamers hebben allen zicht op de oceaan. De netheid is perfect. Het personeel en de staff zijn uiterst beleefd en behulpzaam. De kamers en de badkamers zijn goed uitgerust. Een aan te bevelen hotel ook kwa prijs/kwaliteit verhouding een aanrader. Spijtig genoeg is er enkel wifi in de openbare ruimten. Dit is een minpunt waar in de toekomst zal aan gewerkt worden. If you are looking for a place to wind down, don't look further. Serein Beach hotel is very peacefully located between the beach and the lagoon. There are enough food options a short beach walk away, however the food in the hotel was also good. Check the cocktails in 'The Lounge Bar' 200 meters to the right, walking on the beach, just past and up the pier. Our room was impeccable. Nice view, clean, cosy ... only thing missing was a fridge but you can always use the one in the lobby. The staff and manager did everything to make our stay special. We stayed 3 nights and really felt at home. The road to the hotel is a bit bumpy, but once you reach Serein Beach it truly is an oasis of quiet and peace. I hope to visit again! After staying in various places during our trip that was a retreat. Nice ambient and eco-friendly modern interior, almost spotlessly clean room made our stay unique. If we had time we'd definitely stay another night or two. Resonably priced and quality food. Bear in mind that you can't swim in front of the hotel (approx. 300m north). I visited Tangalle and stayed at this lovely place last April 2016. It was low season thus the ambience was very calm--- which I prefer.. As soon as I arrived to the place (which was around 2.5km from the bus station), I immediately felt relaxed. When they showed me to my room, I said to myself, "the long trip-- bus, train, tuktuk" was definitely worth it! All the rooms have a balcony and a view of the beach! If you open the doors, you can hear the sound of the waves, which has a tranquil effect on me.. There are hammocks and beach chairs out in the facade, close to the ocean and you can easily have a nap there. The food is ok, and you can opt to walk to nearby restaurants to try their food, but the food at the hotel is already good for me. What I like is that you have to pre-order and you can tell them what time you would like to have your meal. Breakfast was great! You can have a choice among western, continental and local sri lankan. Local cuisine is a must-try! I don't have bad things to say about this hotel.. You can even ask the reception to send a tuktuk if you want to go out.. Very beautiful place right next to the beach. I loved the view from the balcony. Very nice restaurant with excelent food. Very friendly and helpful staff. I spent two days here to relax during my tour around Sri Lanka and I really loved it. 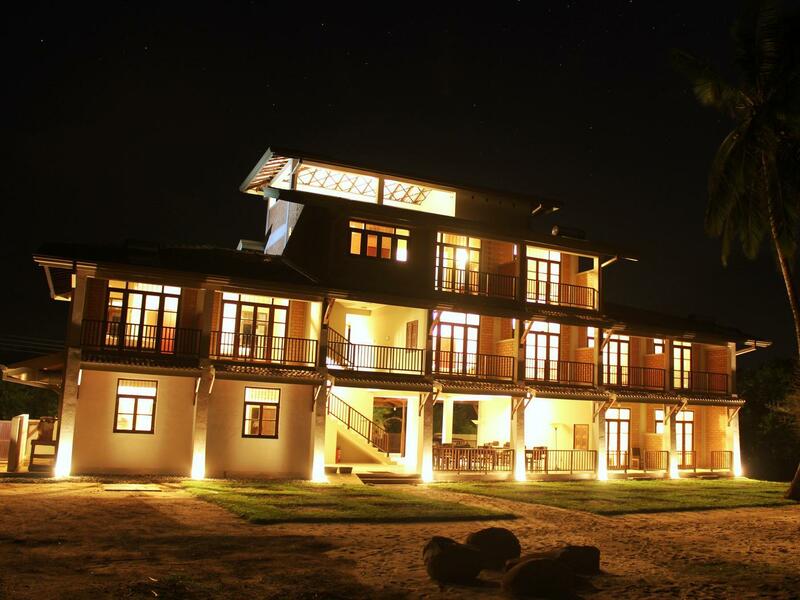 Serein Beach Hotel lies at one of the most beautiful places on the whole of Sri Lanka. The hotel has just a couple of handfuls of rooms and the general mood is super relaxed and welcoming. It's located at a very remote (but safe) area of Tangalle (Medilla), so it's the perfect place for some serious relaxation and meditation. The staff was incredibly welcoming and helpful at all times and we knew instantly that we'll be coming back. If we had to pick on something, it would be the lack of dinner options. While they serve 3 different types of breakfast (Western, Continental and Sri Lankan), their dinner option was limited to just a few options. The food was however very good, so it's not considered a minus. Very clean and peaceful hotel. The rice and curry at the restaurant is one of the best we had in Sri Lanka. The only downfall for me is that the beach opposite the hotel is not suitable for swimming and not as nice as the beach further along the coastline away from Tangalle. We tried the food at the nearby restaurants and it is not nearly as good, so eat at the hotel. It is a quite place, more suitable for families and couples, if you want a party - better look for other hotels. Cozy hotel with comfy rooms that have beautiful view of the ocean. Good breakfast (eggs, fruit platter, plenty of toast, tea or coffee). Wifi is good but not everywhere. Plenty of nice restaurants nearby - right on the beach - where you can have dinner. The staff is really friendly and helpful! We were a group of four women and stayed for five nights in this hotel. We loved the relaxing and stress free ambiance. The staff was very helpful and attentive and the food always fresh and tasty. 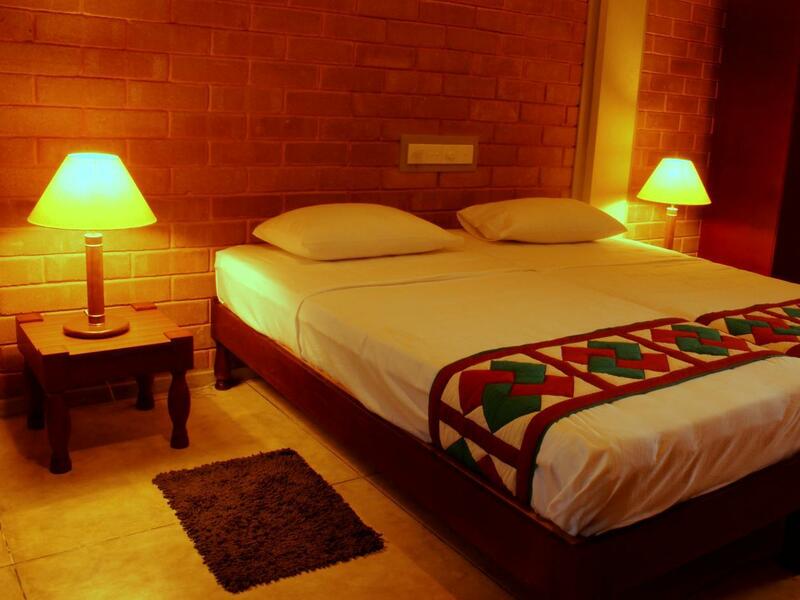 The beautifully designed hotel is perfectly located close to a wonderful beach. It is also well positioned for making various trips. We would always return. Breakfast is nice. Nothing else is good. We drove all the from Colombo to Galle and arrived at early evening in Tangalle. We spent almost two hours looking for this hotel. No one knew about its name. No signage along or at junction of the road at all. After several trials, we took a small sidetrack through the jungle with unpaved and flooded muddy road. Finally we were there after two hours of adventure in the dark night. No one could have imagined a hotel at that location. Our driver and us were starving when we arrived but no foods were available. They gave us 5 small bananas to keep the whole night. There was no driver room and we had to send the driver back to town through the same muddy road. There was no hot water, no air conditioning, no TV, no Wifi, and finally no electricity at all until next day noon time. We could not stand and decided to leave and to have up the second day of our booking. The staff felt nothing about our complaints. I saw most of the customers were young couples but all with sad faces. They should not call it a 3 star hotel but rather a guest house with basic bed and breakfast only. I do not recommend people with expectation of service to stay at this hotel. Maybe only those people who like wild life and rough beach will enjoy. We wanted a double room for two people. When The booking confirmation I realised the price was just for one person. Agoda wouldn't let me amend the booking. On arrival we were charged an extra for the extra person. We stayed anyway. Beautiful hotel although breakfast was disappointing, horrible bimbo/cheap bread. Also they need to sort out the bumpy road to access the hotel as it was a chore to use the road.